Pictured are the costume contest winners standing from left: Karra Platt, Tubolino, Conner Wallace, Astrid Livesey-Pierce, Grace Wing, and Owen Patches. In front is Curtis Kaye. 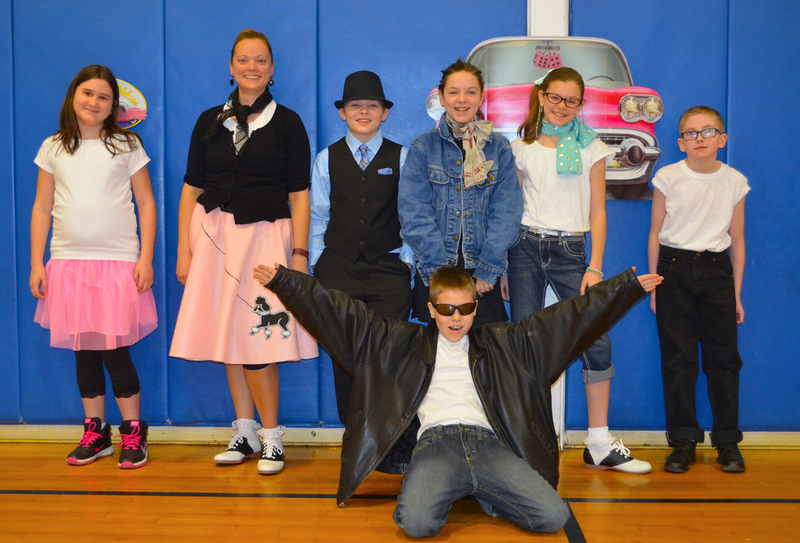 MINETTO, NY – The Minetto Elementary School held a 1950s Day during school recently, as a culminating activity for its dance unit in grades 4-6. Students were able to participate in a 1950s-era costume contest, as well as a swing and partner dancing. The activities were coordinated by Minetto Elementary School physical education teachers Julie Tubolino and Don Fronk.